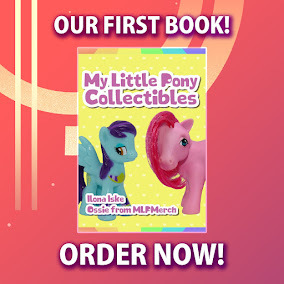 Here on this page you'll find an overview of all My Little Pony Friends Forever Issue νm; 19 Comic Covers, with a total of 2 releases. 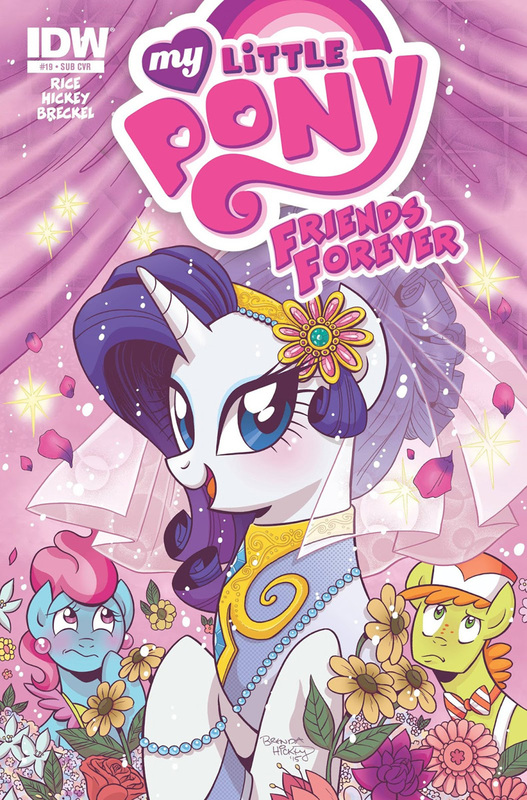 You can click on the Friends Forever Issue νm; 19 Comic Covers images to zoom in or click on any of the links under the images to see more releases of that type. 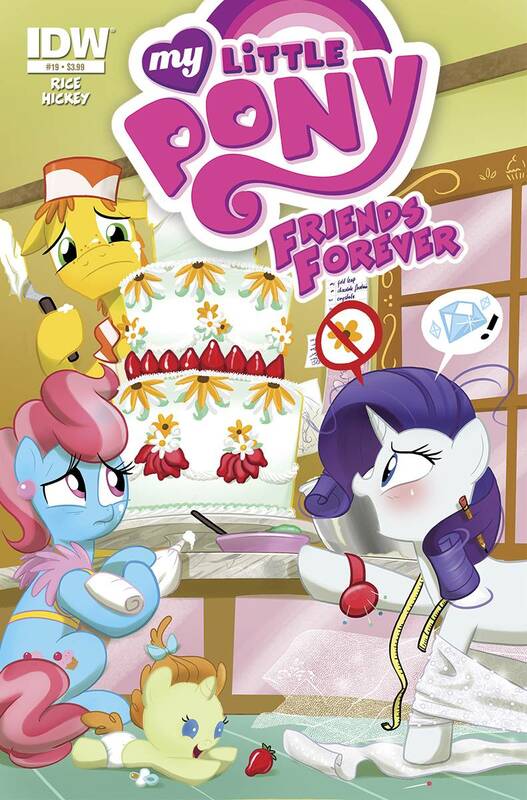 Summary: Rarity has a genius idea to expand the Cake's business! However, Rarity's big dreams may overtake the Cake's sanity before the new venture can even get off the ground!